Posted on April 30, 2018, 9:48 pm, by Andy, under Board Games, Wargames. It’s always fun to try and identify game rules that came into existence not because they were part of the designers’ vision, but because players insisted on them. No need to get snippy about it! 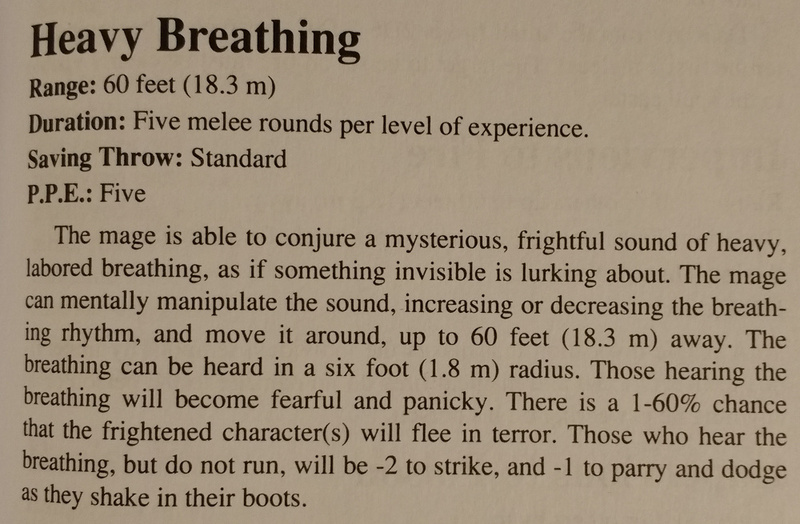 That’s from the Star Fleet Battles Master Rulebook, and it makes me smile every time I read it. In defense of the players crying out to the heavens for such a rule, ships ramming into each other does sometimes happen in Star Trek, most memorably in Star Trek: Nemesis; and besides, who wouldn’t want a chance to melodramatically shout “RAMMING SPEED!! !” during the ever-suspenseful SPEED DETERMINATION PHASE of a Star Fleet Battles match? Nevertheless I can sympathize with the designers’ annoyance here: if it were possible to ram other ships in Star Fleet Battles, every single battle would end with the losing player attempting to ram the other player out of spite, and players would start fielding ships not for their tactical value, but to use as kamikazes. That might be fun for a match or two, but would quickly get old, and doesn’t really seem like the kind of thing the Federation would do. Bless you, Battletech rule designers. In a regular Battletech game, landing hits on a ‘Mech’s nuclear-powered engine can quickly disable the ‘Mech, but won’t result in the Hollywood-style atomic explosion that players have long pined for. But this is the best way to do it: make it an optional rule. I am sure that most complex games that aim for quasi-realism run into this sort of thing a lot: the tension between sticking to the purity of your vision for the game, and giving players what they want. Know of any other good examples? Posted on October 1, 2017, 11:39 pm, by Andy, under Horror. The story: “A Death,” collected in The Bazaar of Bad Dreams. First published in 2015. Wikipedia entry here. Spoiler-filled synopsis: In a small town in the Old West, a rancher named Jim Trusdale is arrested, tried, and sentenced to death for the murder of a young girl. Despite strong circumstantial evidence pointing to his guilt, Trusdale insists he is innocent, and the town sherriff starts to think he just might be. But Trusdale’s time runs out—and after his death, incontrovertible evidence is revealed proving that he was, indeed, the murderer. 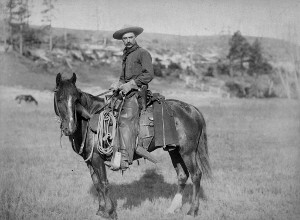 Pictured: a cowboy. From the Wild West. My thoughts: This is an offbeat King tale, both in genre and in style. First, it’s a western. King rarely writes historical fiction; almost everything he’s written takes place in or around the present day. While his epic Dark Tower series certainly has one foot in the cowboy-western genre, the western elements are wrapped heavily enough in scifi-fantasy-horror trappings that you won’t find King’s The Gunslinger shelved next to Zane Grey or Louis L’Amour. It’s a stylistic change of pace for King as well; in “A Death,” he eschews his usual verbose writing style and aims for the dry, terse language that we tend to associate with western stories and the dour-faced lone wolves who populate them. We’ve seen King step outside his familiar style in several short stories: think of “Umney’s Last Case” (Chandler-esque noir), “Jerusalem’s Lot” (Lovecraftian verbosity), or “The Doctor’s Case” (full-blown Conan Doyle). One of the joys of reading King’s short fiction is following along as he indulges in these little side treks away from the horror genre that defines his work. Spoiler alert: he didn’t do it. What’s King up to here, then? “A Death” subverts that most familiar of plot narratives: the “falsely accused of a crime” story. You know how it goes: somebody (the hero, or somebody close to them) is accused of a crime they didn’t commit. The evidence seems overwhelming, but we just know they’re innocent, and that an eleventh-hour discovery or revelation will vindicate our hunch. This ubiquitous plot structure appears in everything from mysteries to thrillers to superhero blockbusters. “A Death” hits all these familiar beats: Trusdale maintains his innocence despite strong circumstantial evidence of his guilt, even seeming touchingly naive about his dangerous predicament. The case isn’t a slam-dunk—a key piece of evidence (a silver dollar stolen by the girl’s murderer) can’t be found; and when a blatantly unfair trial railroads Trusdale into a death sentence, we suspect along with good Sherriff Barclay that the rancher just might be innocent. Will the sherriff be able to turn up evidence at the last minute to save an innocent man from the noose? As it turns out, no. Trusdale goes to the gallows and a jeering crowd watches his pathetic, undignified final moments. We think that a terrible injustice has been done until the last piece of damning evidence shows up post-mortem: Trusdale had swallowed the stolen silver dollar (repeatedly… ewww) and must certainly have been guilty. The sherriff’s gut hunch (and our own instinctive impulse to root for the underdog) proved wrong; the judgmental townsfolk and their unjust trial stumbled accidentally upon real justice. If you’ve read even just a few Stephen King stories, you’ve watched him repeatedly wrestle with the cosmic question of Why: Why do bad things happen for no reason? Here, the “Why” question is directed not at a distant God or impersonal universe, but at the human heart: Why do people do bad things for no reason? Why would a seemingly ordinary, unremarkable man like Trusdale commit such an awful and motiveless crime? Why would he insist on his innocence even after his fate was sealed if he knew he was guilty? And what about us? Is it justice if it’s accidental justice? In the absence of certain evidence, what makes one person assume innocence and another guilt? The questions raised by “A Death” aren’t terribly novel, and it makes no real effort to answer them. But the twist on the “falsely accused” narrative makes this an interesting read, and seeing King try out some cowboy deadpan is fun. Next up: Let’s take a look at “Ur,” also in The Bazaar of Bad Dreams. One thing that’s always struck me a little odd about Star Wars is that, for a film series that features so many epic spaceship battles, few of those spaceship battles feel very personal. With a handful of exceptions, the spaceship fights in Star Wars films feature our heroes facing off against hordes of faceless minions. So, that’s a little boring. Wouldn’t it be more fun if at least one of the TIE Fighters in that squadron you’re fighting was an ace, a coward, a psycho, or just anything other than a generic, faceless minion? I got to thinking about my old Why Is This ‘Mech So Terrible? chart and decided to create a chart for making TIE Fighter encounters more interesting. This chart is for use in a tabletop RPG or other Star Wars game. When the heroes encounter a batch of TIE Fighters and you want to shake things up a bit, pick one of the TIE Fighters, roll a d20, and find out who’s sitting in the cockpit. 1-3 Loyal Imperial Citizen-Soldier Like most of the Imperial military rank-and-file, this pilot is a decent, hard-working guy who signed on with the Imperial navy because he believes the Empire is the best hope for peace in the galaxy. He has faith in his leaders even when his orders are unpleasant, trusting that his higher-ups know better than he does. He follows orders to a tee. 4-5 Bitter Conscript Drafted into service against his will, he just wants to get through his term of service in one piece. In combat, he does the absolute minimum needed to avoid being executed for cowardice, but otherwise takes no risks and shows no initiative. He doesn’t like the Empire but also has no interest in the Rebellion. His only motivation is to get back to base alive each day. 6 Conscience-Stricken Imperial When he signed on with the Imperial navy, he thought he’d be helping to bring peace and justice to the galaxy. But the more he sees (and is ordered to do), the harder it’s getting to reconcile that idealism with the reality of Imperial rule. This pilot is close to defecting; the right set of circumstances might see him refuse an order on the battlefield or even switch sides in the middle of a fight. 7 Zealous Political Officer This pilot is a political officer and true believer whose job is to make sure his squadmates act with sufficient… enthusiasm for the Imperial cause. In battle, if one of his squadmates shows “insufficient aggressiveness,” he just might decide to turn his guns on the coward to set a vivid example for the rest of the squadron, even if it means turning away from the Rebels for a few precious minutes. 8 Ambitious Promotion-Seeker This pilot has lofty ambitions for a career in the Imperial navy, but lacks the political and family connections needed to secure promotions. He’s just putting in time in the TIE Fighter service while hoping to catch the approving eye of his superiors. He cares more about looking good for the promotions board than he cares about the Imperial cause. Accordingly, he plays it safe in battle but is carefully watching for a chance to score a flashy victory that puts him in no real danger… and he’s not above secretly collaborating with the enemy to stage such a situation. 9 Imperial Avenger He just learned that Rebel scum killed his family in a terrorist bombing on Coruscant (or at least that’s what his Imperial masters told him), and he’s out for blood. He’s not going back to base until he’s killed every Rebel (real or imagined) he sees, no matter what his orders are. His rage gives him an offensive edge in combat, and he won’t retreat even if ordered to. 10 Rebel Spy This pilot is actually a Rebel spy who funnels Imperial military plans to the Rebels, and he’s looking to transmit stolen data files to the first Rebel ship he encounters. But he’s got to do it without blowing his cover… and without getting blown up by the Rebels he’s trying to contact. 11 Imperial Test Pilot The Imperial navy is evaluating some souped-up new TIE Fighter variants, and they’ve placed one in this squadron to test its combat performance. This TIE’s armor, shields, firepower, or manuverability (pick one) are one notch higher than average. To make sure this expensive prototype is handled properly, its pilot is almost certainly a cut above the rest. 12 Unknowing Force-Sensitive This pilot is your typical Imperial serviceman, loyal and brainwashed to follow orders. Except for one thing: he’s sensitive to the Force, although he doesn’t realize it. He’s prone to remarkable “luck” in battle—every now and then he pulls off impossible shots, and when his TIE Fighter gets hit, the damage always seems to just narrowly miss vital systems. Once per combat, he can reroll any die roll that didn’t go his way or which caused him harm. 13 Imperial Ace Uh oh. This guy is bad news; you can tell by the number of X-Wing silhouettes painted on the hull of his fighter. All of his combat and piloting skills are way above average. 14 Secret Pacifist He was drafted into the TIE Fighter service, but in his heart he just really doesn’t want to hurt anybody. He’ll go to almost any lengths to avoid actually harming anyone in combat—making sure his shots miss, pretending not to notice potential targets on the long-range sensors, faking weapon malfunctions, etc. His commanders will soon figure out that he’s dragging his feet; he’s already planning how he might use the chaos of battle to make a run for a backwater system where he can hide from the Galactic Civil War. 15 Victim of Sabotage Enslaved aliens working at a TIE Fighter factory sabotaged some key components, and nobody’s noticed yet. At a key moment in the next battle, something will go horribly wrong for this TIE Fighter: maybe the guns or other key systems will abruptly stop working, or the torpedoes will target friendly Imperial ships instead of Rebel ones, or the wings will fall off. Use your imagination! 16 Imperial Psycho TIE Fighters are cheaply built and utterly expendible, as are their pilots. Everybody knows that, especially the poor suckers forced to fly them. 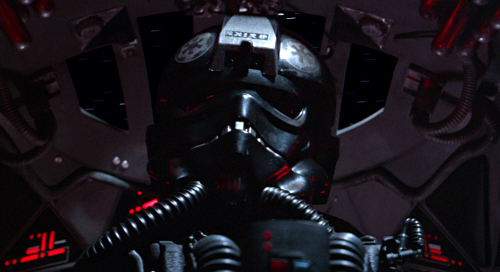 For obvious reasons, most Imperial pilots jump at the chance to be promoted into a better spaceship. But not this guy: he actually likes his TIE Fighter and he keeps turning down opportunities to fly something better. He’s crazy and he scares all his squadmates, but he knows how to coax unbelievable stunts and maneuvers out of his lowly TIE Fighter. For game purposes, his TIE Fighter is treated as a TIE Interceptor, and his piloting skills are close to maximum. 17 Marked Man This pilot’s gambling problem has put him far into debt with the Hutts, and now there’s a bounty on his head. Partway through the next battle, a bounty hunter shows up on the scene. The bounty hunter ship ignores everybody else and focuses on destroying or capturing this TIE Fighter. 18 Pampered Scion This lazy dilletante from a wealthy Imperial family is grudgingly doing his time in the navy. He’s a terrible pilot, but he’s used his family’s wealth and connections to ensure that he always flies in the best spaceship possible. While his squadmates make do with aging, cheaply-built equipment, he’s flying a souped-up TIE Interceptor with all the upgrades money and influence can buy. Will his advanced fighter compensate for his lack of instinct and skill? 19 Former Classmate This pilot attended the Imperial Academy with one of the heroes (before the hero joined the Rebels), and may have been a terrifying bully or honorable rival to the hero (pick one). And there may still be scores to settle! 20 You Don’t Want to Know You know how you sometimes read about kings and generals quietly visiting the common soldiers in the trenches, to get a sense for morale, pretend to care for the everyday grunts, and remind everybody what they’re fighting for? Darth Vader’s not that gracious, but he does like to show up unexpectedly to terrify recruits into obedience. And he’s been known to fly along unannounced on random TIE Fighter patrols…. Posted on October 19, 2016, 1:04 pm, by Andy, under Horror. The story: “Bad Little Kid,” collected in The Bazaar of Bad Dreams. First published in 2014 (in German and French, interestingly enough). Wikipedia entry here. 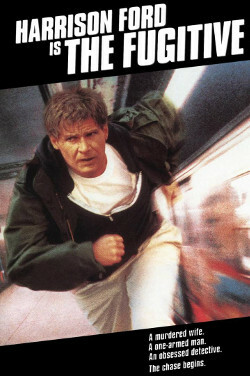 Spoiler-filled synopsis: Throughout his life, George Hallas is visited by an unaging schoolyard bully who appears every few years to murder somebody George holds dear. George eventually contrives to kill this apparently demonic being, but at the cost of his own life: he is convicted and executed for murdering a child. The story’s final pages make it clear that the bully is no figment of George’s imagination. My thoughts: What would you say is the archetypal Stephen King villain? To be sure, he’s created quite a few classic bad guys, from creepy supernatural entities (Pennywise from It) to psychotic madmen (Jack Torrence from The Shining). But if you ask me, the definitive King villain type is the schoolyard bully. Imagine this guy showing up in your life every few years. Bullies—actual steal-your-lunch-money bullies—are a recurring menace in King novels and stories. Many of King’s other villains are just grown-up versions of the bully (like the abusive husband/father, sadistic prison guard, etc.). And even his most terrifying supernatural villains (again, like the one in It) often behave exactly like bullies, right down to deploying fat jokes and crude sexual slurs intended to dishearten victims. This might seem a little ridiculous at first, and it is a bit jarring when a nightmarish Lovecraftian entity pauses to tease its victims about their asthma. But King knows that horror is more effective when it exploits real-life fears, and who among us hasn’t had some kind of upsetting encounter with bullying behavior? Whether it was getting pushed around on the playground or being ostracized at work, most of us have experienced the humiliation and helpless rage that comes from witnessing, or being victimized by, bullying. Two things stand out to me about this story. First is that it’s in many respects a retread of “Sometimes They Come Back,” an early King story also involving ageless, murderous supernatural bullies. Unfortunately, “Bad Little Kid” comes out worse in a comparison between those two stories. In “Sometimes,” the beleagured protagonist devises a truly original way of dealing with the bullies: demon summoning. By contrast, in “Bad Little Kid,” George simply buys a gun and shoots his tormentor. Gunning down your enemy might be the most American way to deal with problems, but from a narrative perspective it’s a lot less interesting than calling on infernal powers. Second, “Bad Little Kid” allows for some interesting speculation about what’s really going on here… only to dash that ambiguity with a strangely disappointing denouement that reveals the evil bully to be an actual, real demonic being. The story hints at various alternative theories about George’s predicament. It might be that George is inventing the “bad little kid” in a desperate attempt to attach some kind of cosmic rationale to the seemingly meaningless (but natural) deaths of those he loves. Or the “bad little kid” might be a delusional manifestation of George’s own murderous impulses—most of the victims are women with some kind of perceived weakness or vulnerability (disability, mental illness, minority status, etc.) who might have triggered some kind of hidden misogynistic reaction in George. But rather than leave us pleasantly uncertain of the explanation, King settles on what I would say is the least interesting option: the bad little kid is a demon from hell. You might as well ask why one baby is born with a misshapen cornea […] and the next fifty delivered in the same hospital are just fine. Or why a good man leading a decent life is struck down by a brain tumor at thirty and a monster who helped oversee the gas chambers of Dachau can live to be a hundred. This is a competent story, but it’s overshadowed by many other King works that explore similar ideas. I recommend the cruder, but more compelling, “Sometimes They Come Back” instead. Next up: Let’s shift gears and read something with a bit more heft: “The Mist,” a novella-length story collected in Skeleton Crew. Posted on October 3, 2016, 11:56 pm, by Andy, under Horror. The story: “Gramma,” collected in Skeleton Crew. First published in 1984. Wikipedia entry here. Spoiler-filled synopsis: Eleven-year-old George has been left alone for a few hours to care for his aging—and dying—grandmother, an unpleasant woman whom he has always feared. “Gramma” dies on his watch, but that’s not the end of it: Gramma was a powerful witch in life, and her death is part of a plan to permanently possess George. The extent to which her plan succeeds is left unclear by the story’s final pages, in which George has acquired Gramma’s infernal powers but has possibly retained at least some of his own identity. 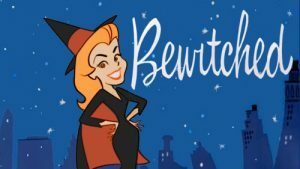 My thoughts: What would it be like to have a witch in the family? What if that witch was not a quirky spellcasting spouse, but a domineering matriarch willing to kill her own children if they crossed her? And what if, in her old age, that witch became senile, unable to control her powers? Like this, but with more Hastur the Unspeakable. But I’m getting ahead of myself; for the first part of the story, it’s not clear that Gramma (who is offscreen for much of the story) is anything other than a completely ordinary old woman in the final stage of life. It is thus actually unclear what manner of story we’re dealing with, and my initial reaction was nervousness at the theme of old age and declining health. As many families can attest, caring for a dying relative can be a painful and emotionally harrowing experience for everyone involved, and I wasn’t sure I wanted to read a story that made light of that. Of course, horror stories are most effective when they can exploit an emotional vulnerability in the reader, and King has rarely hesitated to connect his supernatural horrors to real-life ones: parents’ loss of a child (Pet Sematary), domestic violence and miscarriage (Rose Madder), to name just a few. Sometimes, when she had her “bad spells,” she would (as Mom put it) “act out the Tartar,” calling for people who weren’t there, holding conversations with total emptiness, mumbling strange words that made no sense. On one occasion when she was doing this last, Mom had turned white and gone in and told her to shut up, shut up, shut up! George remembered that occasion very well, not only because it was the only time Mom had ever actually yelled at Gramma, but because it was the next day that someone discovered that the Birches cemetery out on the Maple Sugar Road had been vandalized—gravestones knocked over, old nineteenth-century gates pulled down, and one or two graves actually dug up—or something. Desecrated was the word Mr. Burdeon, the principal, had used the next day when he convened all eight grades for Assembly and lectured the whole school on Malicious Mischief and how some things Just Weren’t Funny. Getting warmer, but needs more nameless horror. To George’s simultaneous terror and relief, Gramma dies while he’s in the house with her. And the ensuing sequence, which tracks George’s mental state as he prepares to go in to check the body and cover it, is some of Stephen King’s absolute finest suspense writing. It is a truism that scary stories are usually much more effectively frightening before the monster shows up, and King demonstrates this well here with a truly nerve-wracking dozen pages. The reader suspects with George that the wicked grandmother isn’t really out of the picture, and King stretches this tension out as long as he can. When Gramma does finally come lurching back from the dead to chase George through the house, it’s almost a relief. Gramma’s plan puts her pretty squarely in Evil Old Hag territory; she apparently (it’s not entirely explained) aims to escape death by transferring her own mind and spirit into George’s body. (The extended period of senility may or may not have been a ruse, but it’s clear Gramma has been planning this for some time.) George tries to defend himself by calling on the Lovecraftian entity Hastur, Gramma’s evil patron, but it’s unclear if it works; King switches scenes before we find out. At the end of the story, George is still with us, but clearly has absorbed Gramma’s supernatural powers and her malevolent attitude. 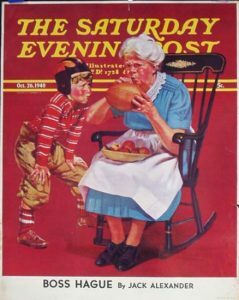 We’re left to guess whether Gramma has full control of poor George, or if George somehow managed to retain control over himself. All in all, this is a very effective story—I’m not often truly creeped out by King stories, but this one gave me a few honest-to-goodness chills. Beyond the solid suspense writing, there are just so many compelling ideas packed into this story: we’ve got a cultist gone senile, a strong-willed matriarch driven to preserve her family through dark means, some unexpected Lovecraftian touches, and creepy mind/body switching (itself a Lovecraftian trope). I’d call this one of the stronger King stories I’ve read thus far. Next up: “L.T.’s Theory of Pets,” from Everything’s Eventual. Posted on October 2, 2016, 10:38 pm, by Andy, under Horror. The story: “The Dune,” collected in The Bazaar of Bad Dreams. First published in 2011. Wikipedia entry here. Spoiler-filled synopsis: As a child, Harvey Beecher discovered something bizarre: a tiny island with a sand dune on which, each day, is written the name of somebody who will soon die. 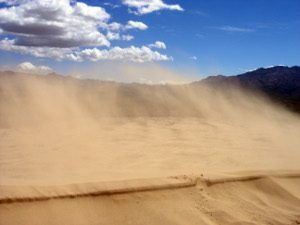 Now a bitter old man, Beecher returns from his latest visit to the dune and hastily summons his lawyer to finish drafting his will. Whose name do you think he saw scrawled in the sand? 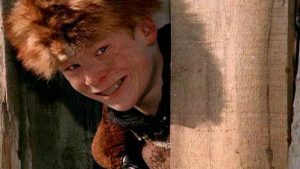 My thoughts: Premonitions of death—especially of your own death—are a beloved staple of spooky storytelling, from the Bible to modern teen-scream movie franchises. That’s the rich vein that King taps in this short tale about a grumpy retired judge who’s found a way to get advance notice of upcoming deaths. Pictured: a sand dune (non-deadly-premonition variety). Since childhood, Judge Beecher has been visiting on an almost daily basis an isolated island where he can read, scrawled in the sand on a dune, the names of people who will soon die. When, after his most recent visit to the island, he hastily summons his lawyer to complete work on his last will and testament, we assume that Beecher has finally seen his own name written on the creepy dune. King feints in this direction for most of the story before producing a twist ending: Beecher hasn’t seen his own name in the sand, but that of his lawyer… hence the frantic rush to get the lawyer to complete work on Beecher’s will (before the lawyer dies and Beecher has to go through the hassle of finding new legal assistance). Effective twist endings are tricky to pull off, particularly these days when we’ve seen so many of them in stories, books, and film. Yet we readers still hope for and expect them, and I don’t envy writers who have to try and mislead a readership that is actively hunting for the trick. Here, King knows you’re scrutinizing the story for the inevitable twist, so he does his best to make you think you’ve guessed what that twist will be, before surprising you in the story’s final sentences with a different twist. And it works, but imperfectly; to keep readers thinking down the wrong trail, King has to try a little too hard, mainly by emphasizing a few too many times that Beecher is very old and frail. When the punchline arrives, it’s fun, but because you hardly know and aren’t emotionally invested in the lawyer character, it has little lasting impact. There are a few other noteworthy bits in this short tale. First is the mysterious dune itself. As usual, King resists the urge to try to explain what the deal is with the dune. Beecher does, however, propose one interesting possibility: that the dune is a location where for some reason the skin of the cosmos has worn thin, exposing a tiny glimpse at the inner workings of fate to anyone (un)fortunate enough to stumble across it. Depictions of supernatural encounters as largely random, impersonal, and undeserved are common throughout King’s writing. Secondly, there’s the fact that Beecher doesn’t take any action to change or subvert these prophesied futures. Stories in which people receive frightening premonitions of the future typically focus on their (usually futile) efforts to change that future. (King has written tales of this sort as well—most notably his novel 11/22/63, about a time-traveler’s attempt to prevent the JFK assassination.) You might imagine that Beecher would act on his terrible knowledge by warning doomed people, destroying the dune, or something else. But despite his daily visits to the dune, the only time Beecher seems to have ever taken action is, as in this case, when he stands to be personally inconvenienced by the foretold death. All in all, this is a short, solid, but largely unremarkable tale with a fun little twist ending. There’s not a lot to “The Dune” beyond that surprise; this is a simple story that exists entirely to deliver you unsuspecting to the final sentence’s revelation. Next up: “Gramma,” in Skeleton Crew. I have a big collection of roleplaying games—far too big, I’m reminded every time I venture into the basement room where it resides. With a few exceptions, my collection doesn’t contain anything terribly rare or valuable (the games in my library that would command the highest prices from collectors also happen to be the ones I played to death over the years, so they’re far from mint condition). But I do have a good number of oddities nestled amidst all the predictable D&D tomes. I came across one of them today while rearranging the family bookshelves. It’s called Darksword Adventures. And it’s an odd duck. It is not, as far as I can tell, rare or valuable. (The going rate on Amazon for a used copy is one cent.) But in my many years of going to game conventions, lurking on roleplaying game forums, and playing all manner of games, I swear to you I have never once heard Darksword Adventures even mentioned, let alone have I seen evidence that anyone has ever played it. Let’s take a look at this quirky little artifact of gaming history. It’s written by the mass-market-fantasy powerhouse team of Margaret Weis and Tracy Hickman, authors of the immensely popular and influential Dragonlance chronicles. 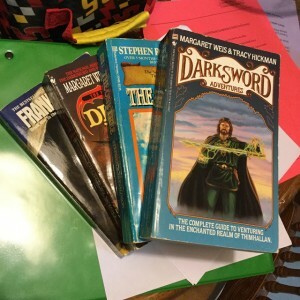 Darksword Adventures is a roleplaying game (sort of—more on that in a bit) based on a different fantasy trilogy they wrote in 1988: the (you guessed it) Darksword Trilogy. The Darksword series is set in a fantasy world called Thimhallan. Its central gimmick is that everyone in Thimhallan is a magician of sorts, able to tap into a Force-like source of magical power and employ it to do things that would otherwise be done with machinery and technology. In fact, mechanical devices and anything (or anyone) that operates on principles other than magic are considered to be “dead” abominations. The hero of the series is a man born “dead”—unable to use magic. There are ancient prophecies, annoying “comic” sidekicks, noble sacrifices, a depressing ending, and other stuff you’d expect from a 1980s fantasy saga. It’s not going to dethrone Tolkien anytime soon, but it was appealing enough for high-school-aged me. See? Looks just like every other novel on your 1980s teenage self’s bookshelf. The format was odd. In the 1980s, roleplaying games were published as oversized, textbook-style tomes or fancy boxed sets. 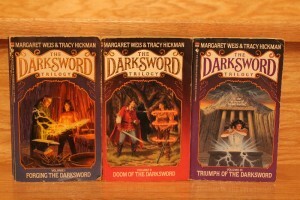 Darksword Adventures, however, looked exactly like a 1980s paperback fantasy novel—physical size, cover art, everything—which presumably let the publisher get it shelved next to all the bestselling Weis/Hickman novels at bookstores rather than relegated to a “games” section in the back of the store. Shelved alongside other mass-market paperbacks, it would be indistinguishable from them at a quick glance. At the time, I’d never seen a full-blown RPG in a paperback-novel format (not counting a few “choose your own adventure” style RPG-lite gamebooks). It was presented more as a fan guide than as a game. The back-cover copy pitches the book mostly as a fan companion to the Darksword novels, not as a D&D-like roleplaying system. It was clearly an effort to break out of the roleplaying market and entice non-gaming fantasy readers. In later years, companies like Guardians of Order would publish combined fanguide/roleplaying game sourcebooks for various media properties, but in the late 80s I hadn’t seen any such thing before. I’m not sure this is any quicker or better than going out and buying some game dice. But I respect the effort. It doesn’t require dice. 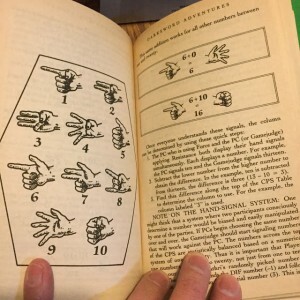 Darksword Adventures includes an overly complex, but workable, method for determining random results using hand signals, on the assumption that you might not own nerdy gamer dice. Which was probably a safe assumption if your target audience was not existing RPG players. It’s nonetheless a full-blown roleplaying game system. It’s as complete a game system as most of its peers at the time, covering character creation, a big variety of character classes (different varieties of wizard, as you would expect from the setting), a (typical for the 1980s) complicated but logical rules system, a bestiary, a surprisingly interesting and versatile magic system, and enough world information to run a campaign. You just had to get over the fact that much of it is presented in-character. 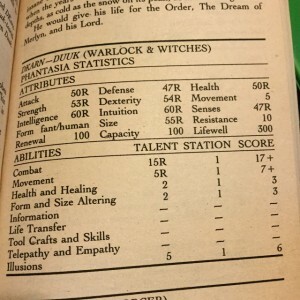 A character statistics writeup from Darksword Adventures. It was weirdly ahead of its time. While (as far as I can tell) it went almost completely unnoticed by the gaming world, Darksword Adventures was doing some legitimately interesting things. It was an early attempt to cross over into the (huge) non-gaming, fantasy-reading market. It eschewed most of the telltale formatting and presentation standards of the game publishing industry in order to do so. Its rules and writing style didn’t assume any gaming expertise (or even ownership of dice). I’m sure it wasn’t the first game to attempt most of these, but it has to be one of the first to attempt all of these things at once. I have no idea how well it did or didn’t sell, but the complete lack of buzz about the Darksword RPG then or now suggests that this was a failure, albeit a noble one. Since then, many roleplaying games have embraced one or more of the elements above, with varying degrees of success. 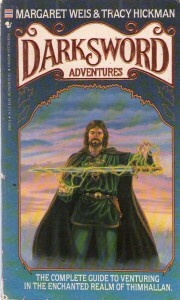 Darksword Adventures isn’t exactly a lost classic, but for historical reasons at least, it would be fun to see a reprinted or revised version made available again. Posted on November 4, 2015, 8:47 pm, by Andy, under Books, Horror. The story: “Mile 81,” collected in The Bazaar of Bad Dreams. First published in 2011. (Incomplete) Wikipedia entry here. Spoiler-filled synopsis: A bizarre, mostly-immobile alien creature, crudely camouflaged as a run-down vehicle, appears at an abandoned highway rest stop, where it waits for Good Samaritans to approach and then eats them. After a sequence of hapless people are killed, a trio of kids drives the creature off by burning it with a magnifying glass. My thoughts: I’m tempted to say that “Mile 81” is a quintessential Stephen King story. It’s not one of King’s best stories, but it pulls in so many of his favorite themes that it reads pleasantly like a grab-bag of Stephen King tropes. In an introduction to the story, King describes it as one of his favorites, and I think I can see why. So let’s walk through the major Stephen King themes that make appearances in “Mile 81.” First up is boyhood nostalgia. The closest person to a main protagonist in this story is a 10-year-old boy named Pete, who has one foot in the innocence of childhood and the other in the scary, exciting world of Growing Up. 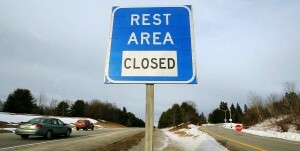 The entire first third of the story simply follows Pete as he makes his way to and then explores the abandoned Mile 81 rest stop. It is Pete who will ultimately use his Kid Ingenuity to figure out how to drive off the monster lurking at the rest stop. Many horror and fantasy stories are coming-of-age tales, and a good number of the genre’s great writers specifically use preteen boyhood as the framework for their horror: several that spring immediately to mind include Ray Bradbury’s Something Wicked This Way Comes, Dan Simmons’ Summer of Night, Neil Gaiman’s The Ocean at the End of the Lane, Peter Straub’s Shadowland, and King’s own It. I won’t delve into the (fascinating!) intricacies of this sub-genre now, but a common feature in such stories is that the “magical worldview” of childhood lets kids triumph over supernatural evil, while grown-ups (who set aside their belief in the magical and supernatural upon Coming of Age) are often helpless against it. That’s certainly the case in “Mile 81;” Pete (and two other small children who join him for the story’s conclusion) accept at face value that they’re dealing with an evil man-eating alien monster and act decisively; every single adult who appears in the story falls victim to it because they simply don’t/can’t recognize or believe what they’re dealing with. The next recognizable Stephen King staple here is the random and unexplained manifestation of evil, in a form that is uncomfortably both terrifying (a shapeshifting horror!) and ridiculous (…that looks like an old car and eats people!). Many of King’s best stories exhibit a worldview in which Bad Stuff happens to Good People for no discernable reason or grand purpose. King also likes exploit the awkwardness we feel when confronted by an Evil Thing that is both legitimately scary and slightly goofy at the same time. Shape-changing alien blobs and killer cars fall squarely into that tortured category. These are all great themes—story elements that King obviously loves and that he rarely fails to put to good use. “Mile 81” falters in just a few areas, notably its odd pacing: Pete is the main character for the first third, then disappears entirely to be replaced by a series of short sketches of doomed grown-ups, after which he abruptly reappears in the final pages to defeat the monster. The depiction of young children in action is mostly good. Pete is a believable ten-year-old, although the slang terminology he uses feels rooted in King’s own childhood rather than the modern era in which this story takes place. There’s a very likeable six-year-old who is a little too worldly-wise for her years (I say this as the father of a precocious daughter), and her little brother who goes through fairly plausible four-year-old mood swings between mourning his eaten-by-a-monster parents and wanting to retrieve his Transformers toys from the car. The tone of the story’s finale, however, is strangely upbeat and light-hearted given that two of the three survivors just watched their parents get devoured by an alien. But all in all, this works well. It’s a good choice with which to open a short story collection, both for its general quality and because it’s a very recognizably Stephen King story. Recommended.